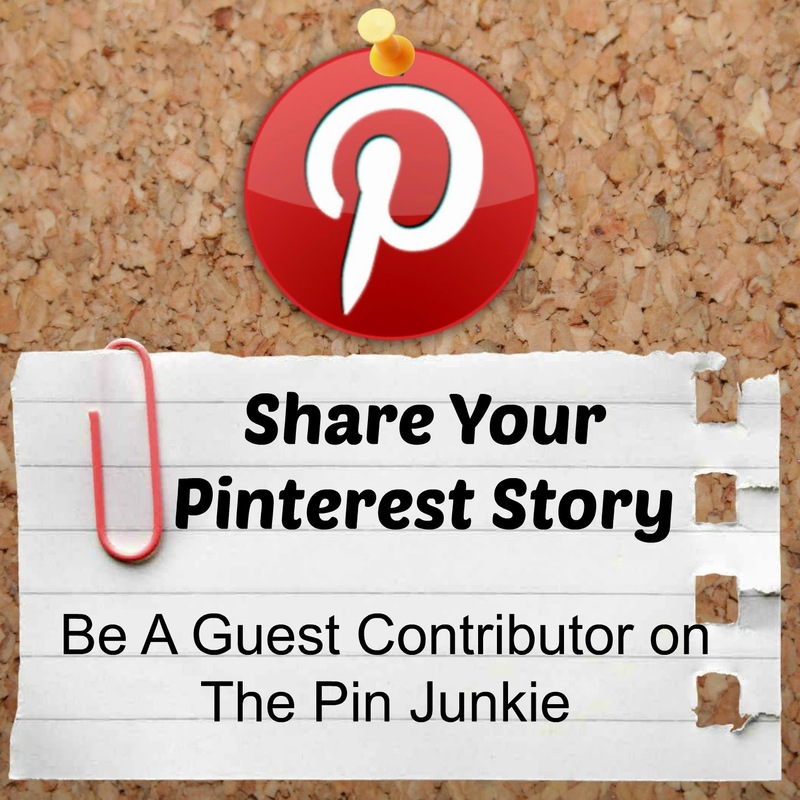 Hey there Pin Junkie Readers! I'm Ginger from Gingerly Made where you can find tons of creative tutorials for "Crafts, Food, and Family." 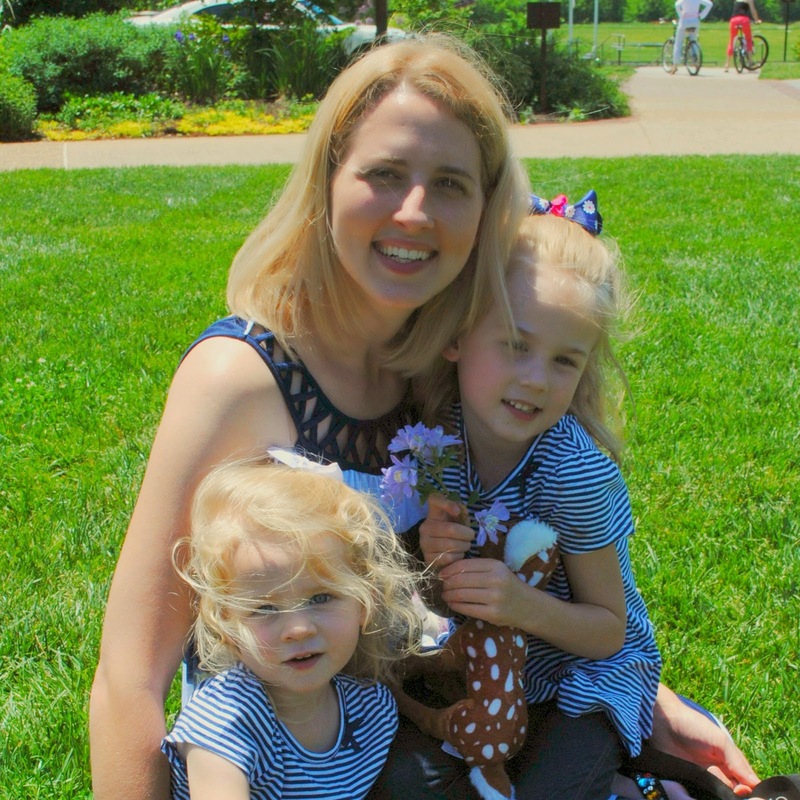 My girls are huge inspirations for me as I am often crafting either with them or for them. I love The Pin Junkie and I'm so excited to be here while Bonnie is taking a little time for herself and family on vacation. 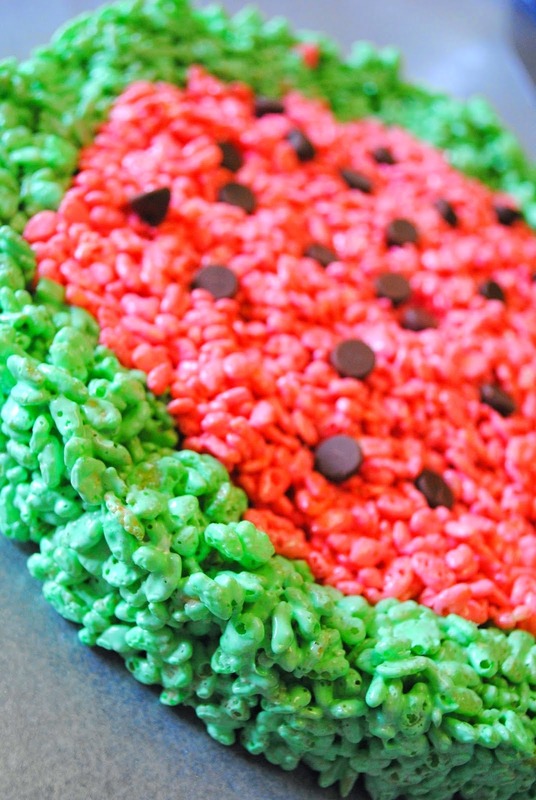 In the spirit of The Pin Junkie, I went to Pinterest for some summer time inspiration and found pins like this one that inspired me to make my own Watermelon Rice Krispie Treats. Delicious!! Spread out a sheet of wax paper on your counter and set the side of a spring form pan on top. You won't need the bottom portion of the spring form pan. Over at the stove, slowly melt 1.5 tablespoons butter & half the bag of marshmallows. 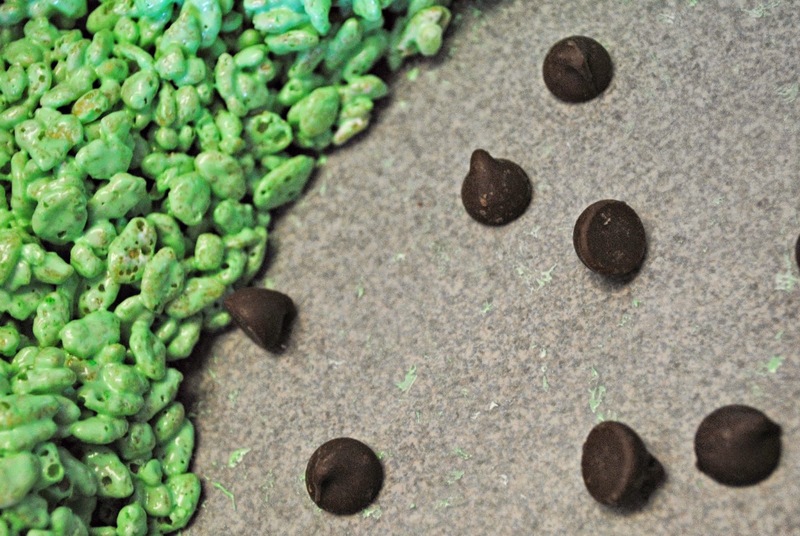 Add 15 drops green food coloring. 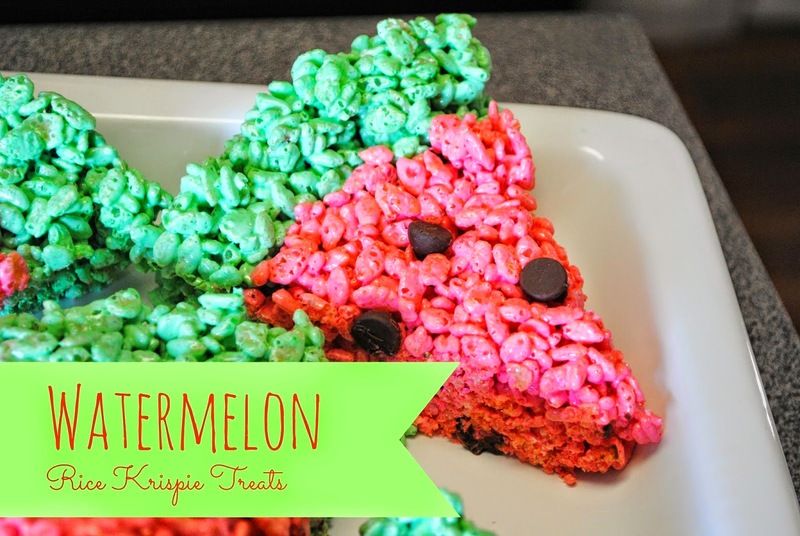 Combine with 3 cups rice krispies. 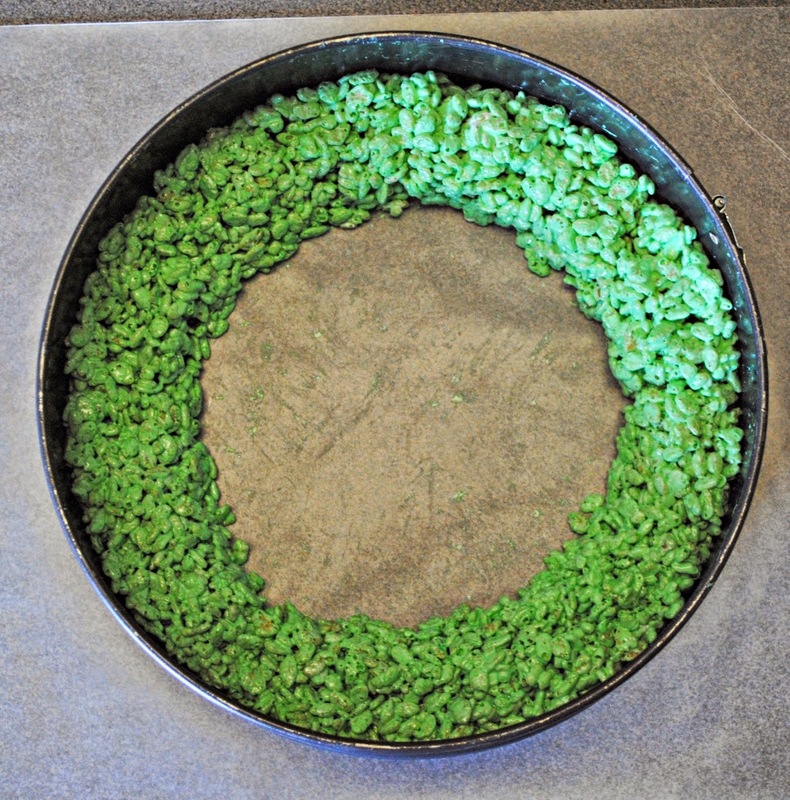 Spoon the green rice krispies into your spring form pan in a circle. It almost looks like a wreath. 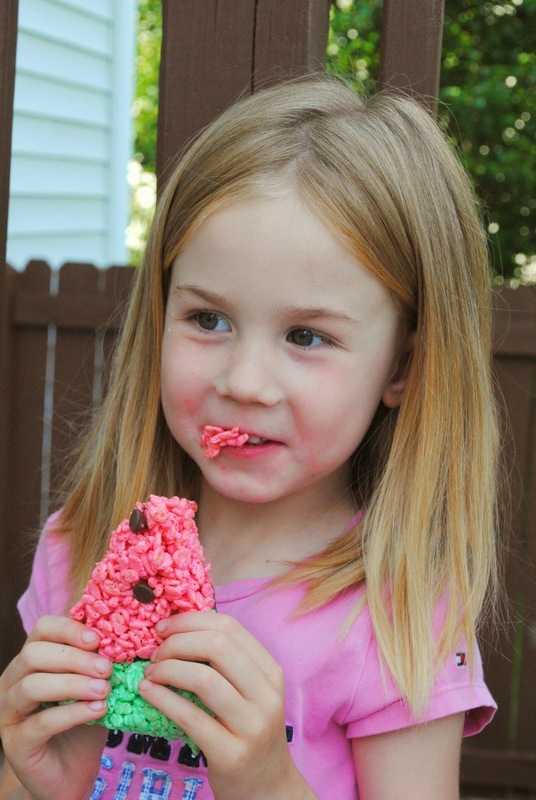 I used an additional sheet of wax paper to help me mold the rice krispies in place with out it sticking to my hands. Wash your saucepan and repeat with the other half of the ingredients except this time you'll be making red rice krispies. 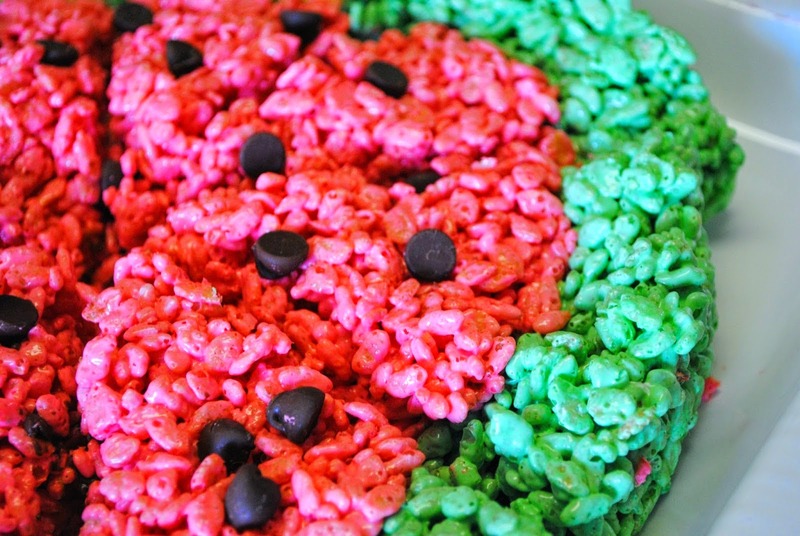 Before pouring your red rice krispies into the pan, add some chocolate chips to the bottom. 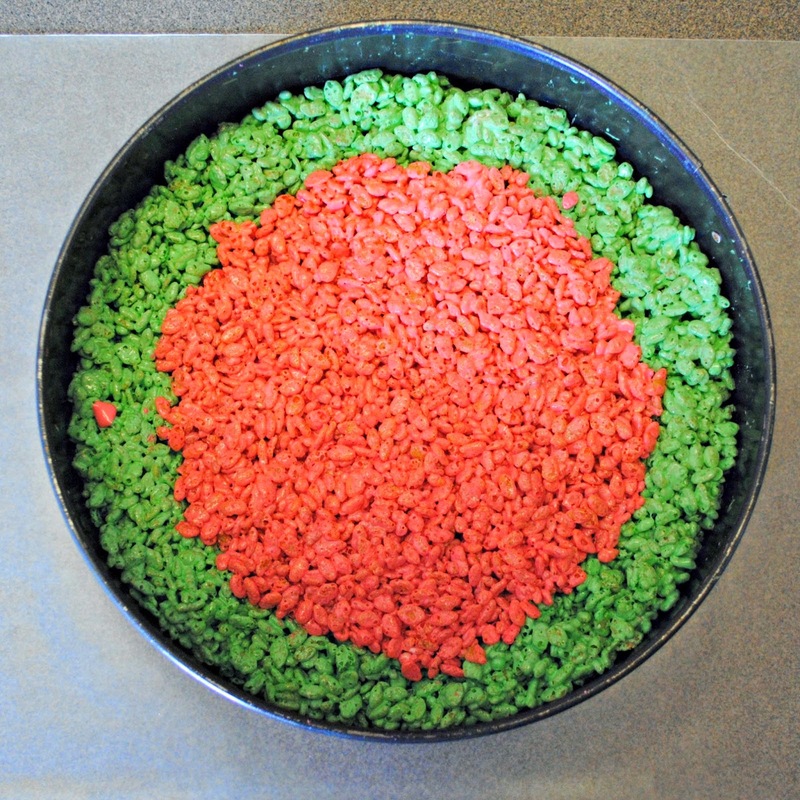 Fill with red krispies. Add more chocolate chips on top. You'll have to press these in a bit. When cooled and hardened, remove and cut into slices. My kids (and husband) thought these were AWESOME! Just look at my oldest - her face says it all. Oh and the fact that they were all gone within 24 hours. Although I did this project while my kiddos were playing and doing something else, it's a great one to involve them in. I most definitely will have them help me next time. Thanks for having me today! I hope you enjoyed this fun summery treat recipe. I'd love if you stopped by Gingerly Made sometime. You can follow me on Facebook, Twitter, and Pinterest too.